NPG recently launched a new iPad app Nature Journals – an app that allows us to distribute journal content to iPad users. I thought it might be interesting to highlight a few of the design decisions we took and discuss why we took them. Most publishers when they make an iPad magazine tend to design a skeuomorphic digital facsimile of their printed magazine – they build in lots of interactive features but build it using similar production processes as for print and make it feel like a print magazine. They layout each page (actually they need to layout each page twice one for landscape and one for portrait view) and then produce a big file to be distributed via Apple’s app store. This approach feels very wrong to me. For starters it doesn’t scale well – every issue needs a bunch of people to layout and produce it; from an end users point of view they get a very big file and I’ve seen nothing to convince me most people want all the extra stuff; and from an engineering point of view the lack of separation of concerns worries me. I just think most iPad Magazines are doing it wrong. Now to be clear I’m not for a moment suggesting that what we’ve built is perfect – I know its not – but I think, I hope we’re on the right track. Our overarching focus was to create a clean, uncluttered user experience. We didn’t want to replicate print nor replicate the Website instead we wanted to take a path that focused on the content at the expense of ‘features’ while giving the reader the essence of the printed journals. This meant we wanted decent typography, enough branding to connect the user to the journal but no more and the features we did build had to be justified in terms of benefits to a scientist’s understanding of the article. And even then we pushed most of the functionality away from the forefront of the interface so that the reader hopefully isn’t too aware of the app. The best app after all is no app. In my experience most publishers tend to go the other way (although there are notable exceptions) – most iPad Magazines have a lot of app and a lot of bells and whistles, so many features in fact that many magazines need an instruction manual to help you navigate them! That can’t be right. As Craig Mod put it – many publishers build a Homer. 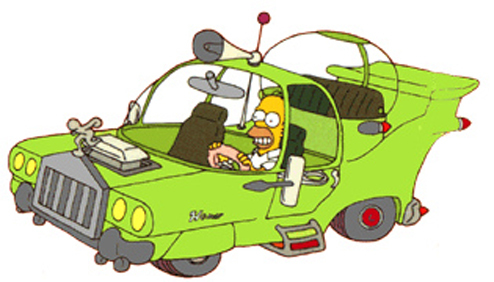 When Homer Simpson was asked to design his ideal car, he made The Homer. Given free reign, Homer’s process was additive. He added three horns and a special sound-proof bubble for the children. He layered more atop everything cars had been. More horns, more cup holders. We didn’t want to build a Homer! We tried to only include features where they really benefit the reader or their community. For example, we built a figure viewer which lets the reader see the figures within the article at any point and tap through to higher resolution images because that’s useful. You can also bookmark or share an article, download the PDF but these are only there if you need them. The normal reading behaviour assumes you don’t need this stuff and so they are hidden away (until you tap the screen to pull then into focus). It’s hard to build good automated pagination unless the content is very simple and homogenous. Beautiful, fast pagination for most content is simply too hard unless you build each page by hand. Nasty, poorly designed and implemented pagination doesn’t help anyone. We therefore decided to go with scrolling within an article and pagination between articles. Under the hood we wanted to build a system that would scale, could be automated and ensured separation of concerns. On the server we therefore render EPUB files from the raw XML documents in MarkLogic and bundle those files along with all the images and other assets into a zip file and serve them to the iPad app. From the readers point of view this means they can download whole issues for offline reading and the total package is quite small – an issue of Nature is c. 30MB, the Review Journals can be as small as 5MB by way of comparison Wired is c. 250MB. From our point of view the entire production is automated – we don’t need to have people laying out every page or issue. This also means that as we improve the layout so we can rollout those improvements to all the articles – both new content and the archive (although users would need to re download the content). Last month the BBC announced that it would launch a limited number of mobile app, starting with News and Sport and then possibly an iPlayer app. Unsurprisingly the NPA promptly complained that the BBC would “damage the nascent market“, and now the BBC Trust as said that it wants to review the plan and that means a delay. Well I don’t know about whether such a move by the BBC would have an impact on the market or not (although I agree with Martin, I think it was inevitable that the Trust has would review the plans), but I do think the BBC could tackle the problem in a different, more open way. They are hooked into a big marketing push. Apple et al. are all publicising their stores on your handset on the telly, on posters and in papers. The app stores are targeted and people know where to look, the Web could be The Store (as it’s been for other things) but that’s not how regular folks appear to see software nor do they want to dig about for what to install. The Web (mostly) only works when you’re online, apps (mostly) work offline too. Some stuff can only be built as a native app (rather than via the web), probably. But as phones expose more of their API to the browser, as HTML 5 with its support for offline browsing and other goodies becomes adopted and, as libraries and support become available so the technical and user experience barriers start to become less relevant — it may once again be universally seen as sensible to develop web apps. Of course either the fear of being locked in or being locked out of the relationship with their customer might kick companies along a bit too. So in the near future we should be able to build web apps every bit as good as mobile apps? 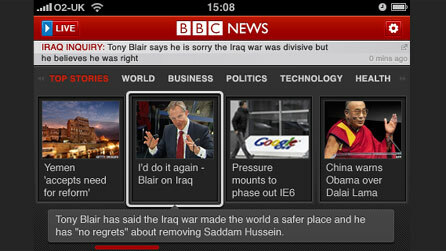 Yes, but I would go further: for most of the things the BBC wants to do, the technology is already good enough. And with a web focused mind set you can start to invest in the sorts of things you can only do server side — just look at the sorts of things Google are building: word processors, voice communications, email clients, image recognition, maps etc. I think it’s better to embrace the future than play catch-up with the near past. But what if I’m wrong and mobile apps are the future of content delivery? Well the BBC could still take a different approach – one where it licensed its content in such a way that others could build apps with its content. Of course, unless things changed, the app would need to be non-commercial and the use of the BBC logo and brand would be protected. Of course the non-commercial aspect might be reviewed under certain circumstances — indeed the BBC already licenses content to third parties both outside and inside the UK via its commercial arm BBC Worldwide, why not online? Although I can’t see any circumstance under which the BBC would allow use of its brand and logo since this is central to protecting its reputation, to avoid this sort of thing. If the BBC did license its content in such as way as to allow others to build stuff then we might see all sorts of interesting innovation on all sorts of different devices and not just mobiles. Perhaps I’m missing something but I don’t see why the BBC needs to control the entire distribution chain, from encoding to eye balls, when distributing content over IP but not when broadcasting to your TV or radio. The BBC doesn’t make its own televisions nor radios instead it lets the market manage that bit, why not encourage the same sort of thing on the web? No it’s not a generative platform but does it matter? A lot of people have written a lot about Apple’s new toy. A lot of people are upset it doesn’t live up to the hype and lots of people point out that it’s a closed platform and not really a proper computer; some worry about what all this might mean for children learning how to code and what it means for who controls your computer. And they’re all probably right, or not — but I’m not convinced that’s the point — I think it might provide a great opportunity for Web developers. The openness on which Apple had built its original empire had been completely reversed. The iPhone’s hybrid model of centrally controlled outside software is already moving beyond the smart phone. 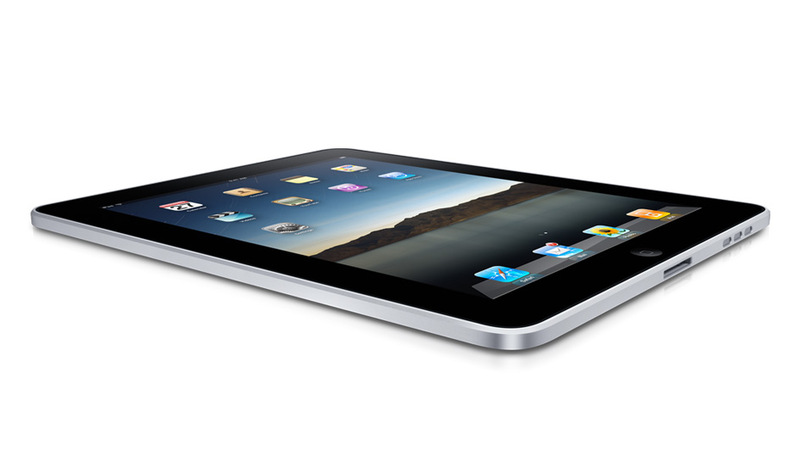 This is the significance of the iPad. It could have been built either like a small Apple Macintosh – open to any outside software – or as a big iPhone, controlled by Apple. Apple went with the latter. Attach a keyboard to it and it could replace a PC entirely – boasting plenty of new apps, but only as Apple deems them worthy. But as s Steve Frank explains the significance of the iPad isn’t the iPad it’s what it means for future PCs. [today’s] computers are general purpose, do-it-all machines. They can do hundreds of thousands of different things, sometimes all at the same time. We buy them for pennies, load them up to the gills with whatever we feel like, and then we pay for it with instability, performance degradation, viruses, and steep learning curves. … task-centric. We are reading email, browsing the web, playing a game, but not all at once. Applications are sandboxed, then moats dug around the sandboxes, and then barbed wire placed around the moats. As a direct result, New World computers do not need virus scanners, their batteries last longer, and they rarely crash, but their users have lost a degree of freedom. New World computers have unprecedented ease of use, and benefit from decades of research into human-computer interaction. They are immediately understandable, fast, stable, and laser-focused. Apple’s attempting to own / lock in other people’s customer relationship model […] apple wanna own that relationship [because] it’s about owning the gateway to culture. Owning the point of sale is one thing; owning the point of subscription [is] quite another. Subscriptions map to habbits + hobbies + viewpoints. Michael’s analysis certainly feels right – but that doesn’t mean that Apple will get away with it. If you look at most iPhone applications there’s really no reason why they need to be phone applications – there’s no reason why they couldn’t be web apps. And while that’s true now it will be even more true as HTML5 becomes more widely adopted. This isn’t anything particularly original, indeed Steve Jobs suggested the very same thing in 2007 when asked about the iPhone SDK – he suggested Safari. The success of the Apple iPod store has proven that Steve’s view wasn’t held by most people – they wanted to build phone applications and people want to download them. I can understand why, from a developers point of view the app store is a great market place and it allows you to monitise access to your app in a way that people don’t seem to tolerate on the web; and from an end users point of view it’s convenient and fits with most people’s expectations of what an application is. But what was true for a phone now might not be true when it comes to the iPad, especially with HTML5’s APIs, including geo-location and offline storage capabilities (supported by Safari), tools such as jQTouch and the increasing awareness of web apps such as Google Docs, Latitude and Voice by the public at large. It’s true we can’t build all apps as web apps — games in particular will need to remain native iPad/iPod apps and I’m sure those publishers wishing to employ DRM will stick with iBook or iTunes but for lots and lots of content and data centric applications the Web is the open platform we can all use without Apple’s permission. Google map of London with Flickr shape data overlaid by Matt Biddulph. Used under license. “Plotted all the geotagged photos associated with a particular ‘Where On Earth ID’ (a database of places and bounding boxes, which describes the spatial hierarchy between places) to generate a mostly accurate contour of that place. Not a perfect representation, perhaps, but something more fine-grained than a bounding box.” How cool is that!? Interesting to see how the first 100 days appear to be a good indicator for the tone and direction of the rest of the presidency. I now know what all Presidents and PMs should be made to answer “what will you do in your first 100 days”. Just the sort of thing we should be doing. Helps the Web, helps the MuiscBrainz community and helps the BBC. There will be an iPhone app bust. The current prices simply aren’t sustainable. Either developers will crash out of the market when they discover they can’t make a living off their current prices, or the gold rush developers will lose interest and leave when they realize they can’t make a quick buck off the store. The developers left standing will be the ones who set reasonable prices for their applications. Wise words from Nick – who continues the good fight in the war to kill of the UGC term. It is such a rude and self limiting term. OpenCalais is to release its data as RDF and join it to the LOD cloud. As Paul Miller notes Cloud Computing is everywhere – we are pushing more and more data and services into the cloud. Particularly when accessed from mobile devices this creates an incredibly powerful and useful user experience. I love it. The way that I can access all sorts of services from my iPhone means that an already wonderful appliance becomes way more powerful. But not all is well in the land of mobile-cloud computing; a nasty anti-pattern is developing. Thankfully there is a solution and it’s OAuth. "Mobile phone Zombies" by Edward B. Used under licence. So what’s the problem then? Since Apple opened up the iPhone to third party developers we have seen a heap of applications that connect you to your online services – there are apps that let you upload photos to Flickr, post to Twitter, see what’s going on in Facebook land all sorts of stuff. The problem is the way some of them are gaining access to these services by making you enter your credentials in the applications rather than seeking to authorise the application from the service. Probably the best way to explain what I mean is to look at how it should work. The Pownce app is an example of doing it right as is Mobile Foto – these applications rely on OAuth. This is how it works: rather than entering your user-name and password in the application you are sent over to Safari to log into the website and from there you authorise (via OAuth) the application to do its thing. This might not sound so great – you could argue that the user experience would be better if you were kept within the application. But that would mean that your login credentials would need to be stored on your ‘phone, and that means that you need to disclose those credentials to a third party (the folks that wrote the app). By using OAuth you log into Flickr, Pownce etc. and from there authorise the application to user the site – your credentials are kept safe and if your iPhone gets stolen you can visit the site and disable access. Everything is where it should be and that means your login details are safe. To be fair to the iPhone app developers this type of delegated authorisation isn’t always possible. Twitter, for example, still hasn’t implement OAuth and as a result if you want to use one of the growing number of iPhone Twitter app you need to give up your user-name and password. I find this incredible frustrating – especially from a service like Twitter where (according to Biz Stone, Twitter’s co-founder) “the API… has easily 10 times more traffic than the website“. Geeky clothing adverts for website. QR codes are ‘physical hyperlinks’ – take a photo of the matrix code with phone and visit the webpage. Get your own QR codes here. His passion for “simplicity” and “honest design” is at the core of Dieter Rams’ 10 principles for good design. Both designers shape their products around the function with no artificial design, keeping the design honest. “Following a debate the Justice Minister, said that the government had “every sympathy for the case for formal abolition” and that, subject to a “short and sharp” consultation with the Anglican church, they intended to table their own abolition amendment. With the announcement of the iPhone SDK being based on Safari, Apple was forced to put Safari on Windows, so they could attract Windows developers to build iPhone applications. By having the barrier to iPhone development as low as, building a Web application, it wouldn’t make sense for Apple to only allow Mac using developers to build those applications. It may also explain why Apple chose to enforced their font rendering instead of using the native Windows sub-pixel approach ClearType.